The 'Tomchei Shabbat' department of our organization was established in light of the current global recession, which has not skipped over Beitar Ilit. Hundreds of families who were barely able to keep their heads above water prior to the financial crisis are now nearly drowning and fighting for their very existence. Countless families have tragically lost their only source of income and are unable to provide their children with a slice of bread in the morning. This is an unbearable reality to face. One cannot simply stay indifferent and let this situation continue. Rabbi Dovid Caro, head of the organization, initiated the 'Tomchei Shabbat' department especially for these families. They can now honor the Sabbat Queen with the very best despite their grave financial situation and enjoy one day of serenity and peace of mind during the otherwise unbearably difficult and miserable week. 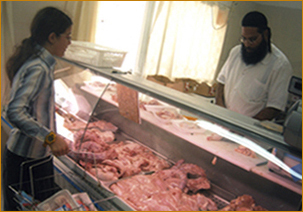 However, in order not to deprive these families of their pride and self-respect, the organization allows them to shop in a local fish and meat store and it is billed to the organization's account. This way, the needy families can choose their Shabbat menu by themselves in a dignified fashion. 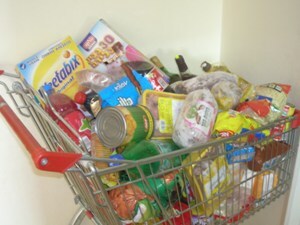 As Jewish holidays approach and other families are busily conducting their last preparations and cooking delicacies in honor of Yom Tov – these needy families are still wondering if they will have enough food for the holiday. Here is where the angel's of 'Tiferes Zvi' enter the picture: with the coupons they provide, these deprived families can enjoy their holiday shopping just like everybody else – and not only are they able to purchase meat, poultry, fish, wine and other expensive groceries, but they also gain a tremendous boost to their self-esteem. The joy which these coupons bring both parents and children is indeed above imagination. Many other families are anxiously awaiting our help, which, unfortunately, we cannot offer under the circumstances. Our prayer is that through the generous donations of our dear friends from around the world, we will be able to expand our activities and offer our assistance to additional families and bring joy into their lives as well. 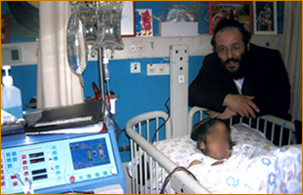 Among the many activities of 'Tiferes Zvi' one can find extensive medical assistance to patients and their families, such as providing expensive medical equipment and funding medical treatments. The little boy's father walked down the hospital ward with heavy steps, deep creases forming in his forehead. His wife, leaning over their beloved son who lay motionless in his hospital bed connected to various devices, anxiously looked for any hint of movement – even just a small blink of the eye. Their prolonged stay in the hospital has drained him, physically and emotionally. Their financial situation is getting worse by the day; the complicated treatments have left them literally penniless. The other children at home desperately need their mother's attention and warm words – but she cannot give it to them. Not now. Her little boy needs her. They desperately need their father's hugs – but he is not there. No one is there to supply them with the necessary groceries. The kitchen cabinets are empty - as are the children's growling stomachs. But there is hope. 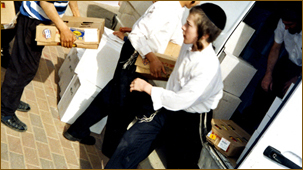 And it is provided by the 'Tiferes Zvi' organization, which, with G-d's help, devotedly assists the family in their time of need and eases their burden.